Why should athletes get paid millions? Rather, why shouldn’t they? | My Three Senths: Sports. Business. Life. Why should athletes get paid millions? Rather, why shouldn’t they? I felt compelled to respond here. I know that it’s the popular opinion to bash the players, but they have more of a case than you may think. I started this counterpoint by stating that it’s only fair for Allen to want comparable money to DeMarcus Ware, another pass rusher with similar stats throughout their careers. But it was clear that my friend’s argument was with the market itself, not simply the player. Not sports, mind you, but entertainment in general. After all, athletic events at their base are just another form of entertainment (albeit a form of entertainment which invokes regional pride and competitiveness on many levels). Athletes play sports, and fans watch them play. Simple. And there’s no doubting that the entertainment industry as a whole is inflated. Should athletes make more than members of the military, police, etc who actually put their lives in harm’s way to protect the peace and serve the country? No. Not at all, and you won’t ever hear me arguing that. Let me preface the next statements by saying that this is not to claim teachers are not underpaid, but rather to show athletes may not be as overpaid as knee-jerk reactions would have us believe. 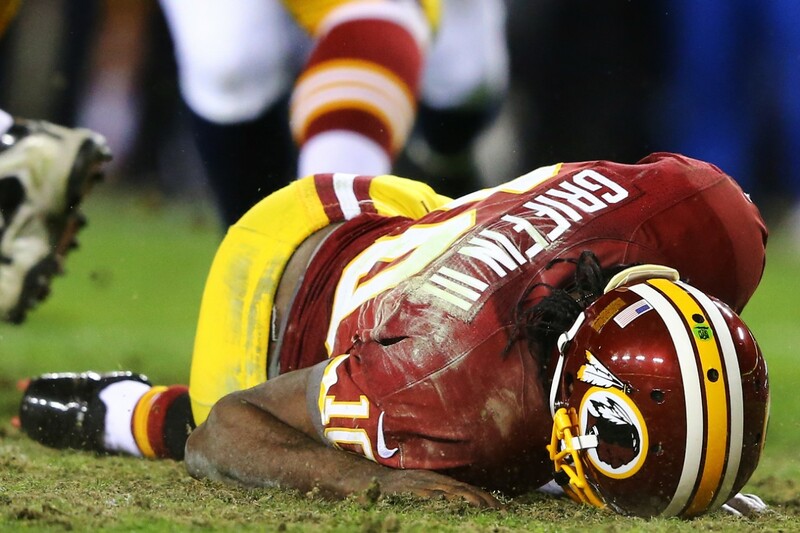 Should athletes make more than civilian service professions like educators, nurses, etc.? That’s a grayer question. Sure, you can’t dismiss the contribution to society as high for those professions, but don’t forget, no matter how little you may feel it is worth relative to those professions, entertainment does hold value. The difference between athletes and the traditional entertainers though, is that athletes also run much higher risks of traumatic injury or even death. All the brain trauma cases coming out now, athletes confined to a wheelchair for the rest of their lives because on one catastrophic hit, collapsed lungs,… The list goes on. That’s a major part of the reason they are paid much higher on average than high-contribution civilian professions. They run greater health risks and have far shorter career spans. The average career length of a high school teacher is 30 to 40 years and average salary for a high school teacher is $57,770 (USNews report). If we hypothetically take a high school teacher who teaches for 35 years, their net raw income comes to just over $2 million ($2,021,950 to be exact). Granted, the entry-level salary is $33,227 (FAU report). The difference between entry level and average is just around $24,000. 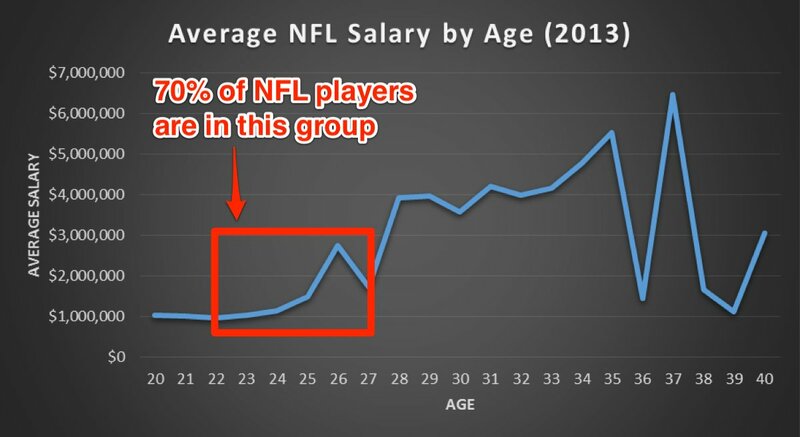 Now, in the NFL, the average salary is $1.9 million, and the average career length is 3.2 years. Only 3.2 years. Let that sink in. The average NFL player, unlike a teacher, doesn’t get to make anything beyond the entry-level salary. Let’s assume for this exercise that most NFL players enter the league after 4 years of college (so, about age 22). With the window of play from age 22-25, the average salary adjusted is now roughly $1.22 million (based on charts from BestTicketsBlog). The net raw salary then for an NFL player is approximately $3.9 million, almost double the teacher’s salary. 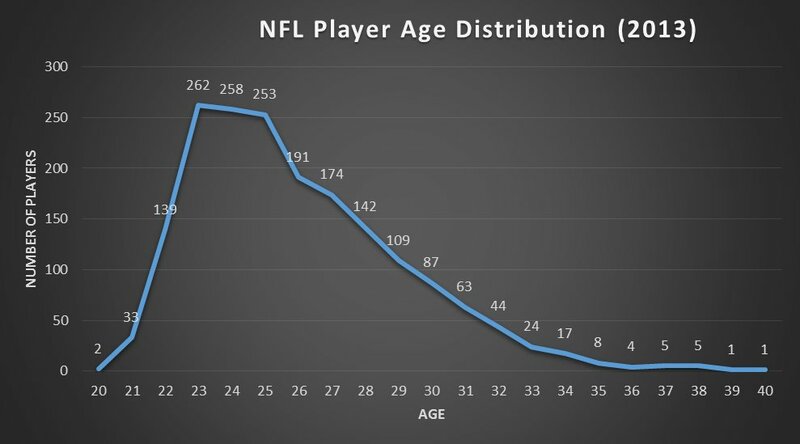 Take a look at the age group where most NFL players reside. Now look at the salary made by that age group. Let’s throw federal income tax into the mix. Athletes’ average adjusted salaries as determined above fall into the 39.6% taxation level. This leaves them with $2.36 million. 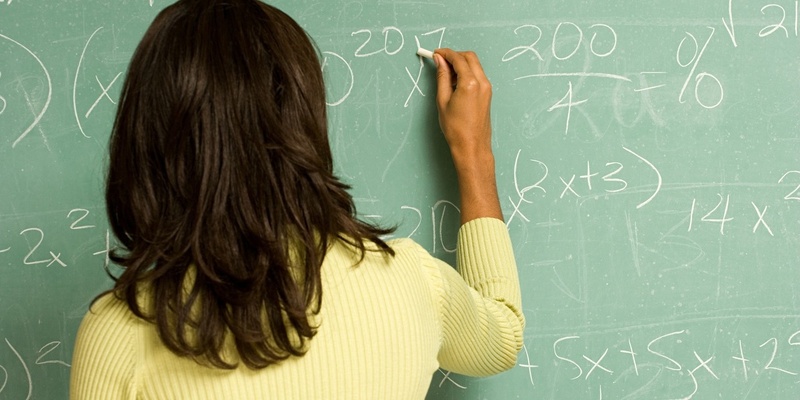 Teachers’ average salaries fall into the 25% taxation level, leaving them with $1.5 million. Now the gap is less than a million dollars across the two career arcs. Then consider the cost of medical expenses, agents, etc. and realize that there isn’t as much disparity as previously thought. Athletes in other sports (European soccer, MLB, NBA) make more than NFL players, but the underlying lesson remains the same. What is “fair” is hard to judge, but what we do know is that most NFL players most definitely aren’t simply all sitting on mountains of money while civil service professions rot. Not arguing one way or the other, but just cautioning objectivity. Brilliant name for the blog! Thanks Andrew! Hope you follow regularly…there’ll be some great content coming up soon. Enjoyed your thoughts and agree with Andrew on the name. Very clever. Keep it coming.